Sociology 300 – Hawkeye C.
Hawkeye, stoneyface on LittleRubberGuys.com, has volunteered to be the next collector spotlighted. 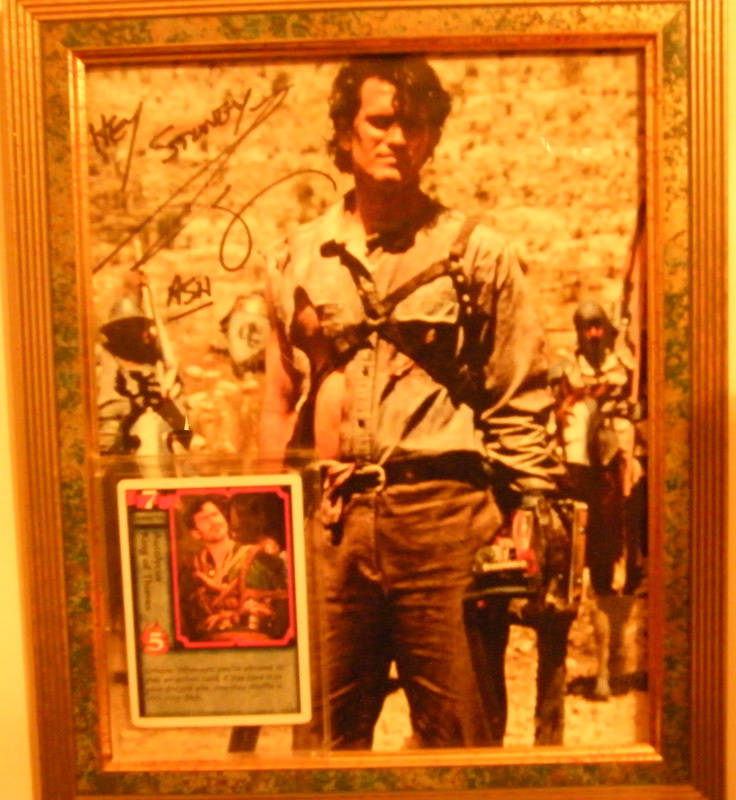 In 2007 80 M.U.S.C.L.E. figures reignited a passion. As a child Hawkeye had set them aside, knowing he wanted to keep his valuable M.U.S.C.L.E. figures safe. 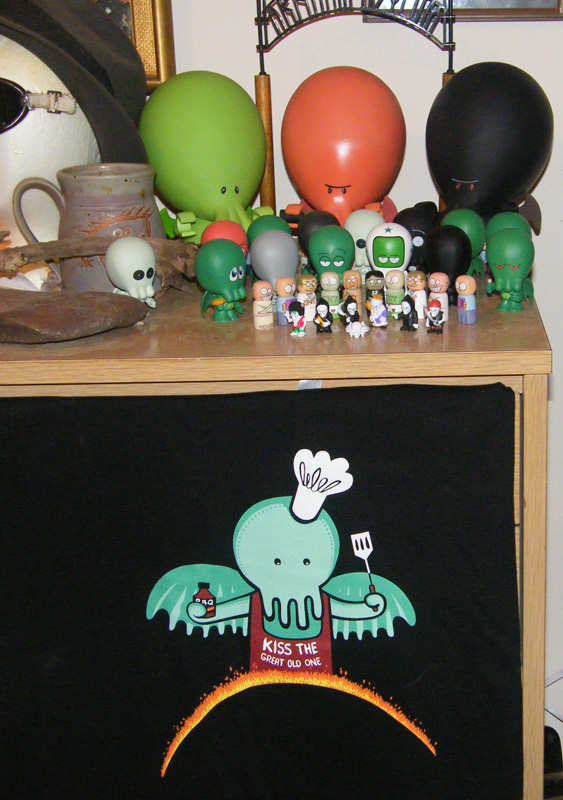 Years later he discovered his childhood stash and his desire to learn more about the little rubber guys ignited. It was also interesting for him to re-experience the wrestling aspect of M.U.S.C.L.E. toys. 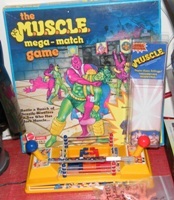 As a child Hawkeye and his friends would play with M.U.S.C.L.E. figures during recess. Part of the play was wrestling themed; with the children building little dirt rings, tunnels, and rooms – but the M.U.S.C.L.E. figures were more than just wrestlers. The M.U.S.C.L.E. figures were generally great warriors. The children created cities, roadways, and entire stories around the M.U.S.C.L.E. figures. The “Claw” (#153) was held in especially high regard among the children. In fact, Hawkeye was the first child in his group of friends to own a #153. This discovery elevated him and caused his friends to regard him highly. This discovery did not stop Hawkeye from having a bit of childhood envy too. 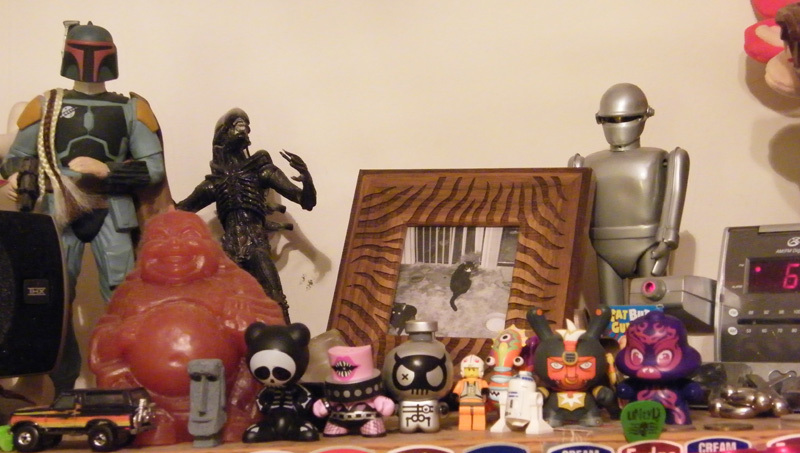 While his childhood collection grew to 80 figures, there was another child that had over 100 figures. Collectively the group of friends was never able to pull together a full set, but the wide array of figures was still awe-inspiring to them and kept the trading of M.U.S.C.L.E. figures a nearly constant activity. While trades allowed Hawkeye to customize the figures that made up his childhood collection, it was Christmas presents and allowance that built his collection. When he was at either Target or K-Mart Hawkeye would lust over the M.U.S.C.L.E. display. On one occasion his lust overwhelmed him and he ended up stealing eight figures from an already opened 10-pack at Target. It is possible that those pilfered figures remain in his current collection. Unfortunately Target and K-Mart are no longer sources of figures for any collector. Like many collectors, Hawkeye’s original collection of 80 figures has grown because of eBay. 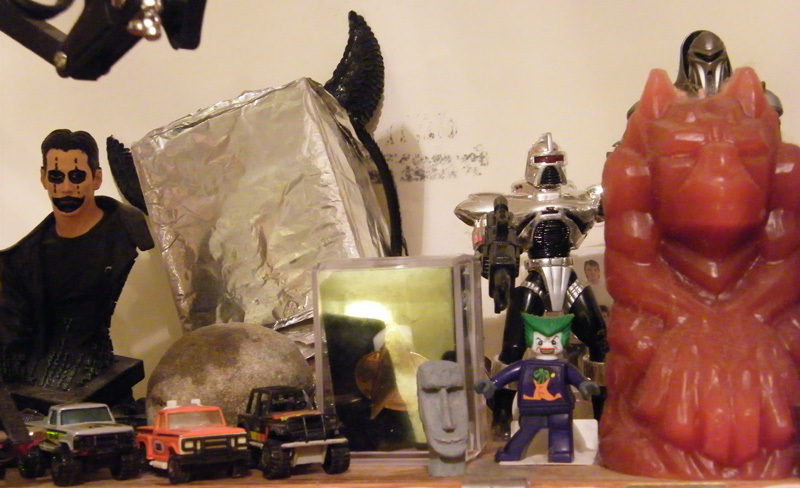 However, eBay is not his preferred method of acquiring figures. 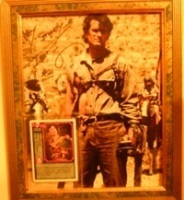 The greatest collecting thrill for him comes when he is able to trade with other collectors. Hawkeye is able to continue trading because of two main factors: (1) he wants a second set of Flesh figures, and (2) he prefers unmarked, undamaged figures. 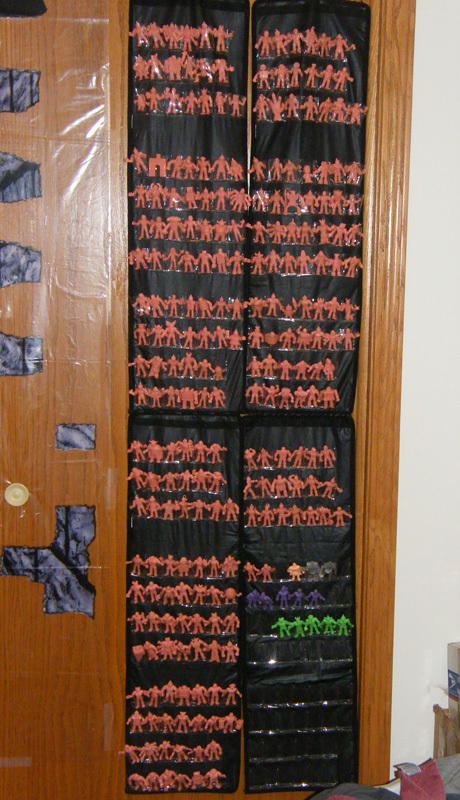 He uses the MUSCLEDB to help track his collection, but mainly uses numbered baggies for each of the figures. It works as a quick reference and allows him to see the condition of the figures. Sometimes he is able to, at least, neutralize the smoke smell. There is one thing that Hawkeye can’t repair or clean, and it is his biggest collecting pet peeve – colored feet. Figures that have their feet colored or written on in any way are the most frustrating for Hawkeye. Often an otherwise perfect figure is ruined by what was often done by a child as a personal identification marker. Some collectors don’t mind figures with writing on their feet because it is never seen. Hawkeye’s concern may be influenced by his method of storage where the bottoms of the feet are easily seen. 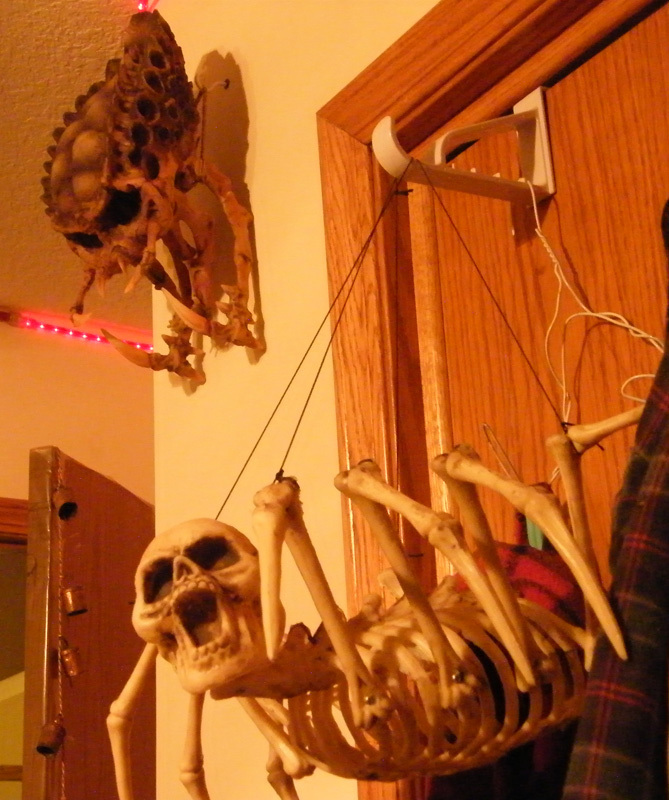 He uses four LEGO Bionicle storage kits that display his complete Flesh set on the wall. Two of his favorite M.U.S.C.L.E. 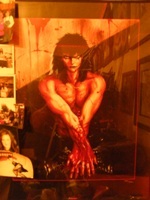 pieces, two Satan Cross figures, reside in the Flesh set display. The other favorite pieces reside on his computer. They are three Super Rare Trilogy figures. Someday I will own a Spinning Head Ashuraman. I must! I just love him. A close second is Black Hole Sunshine. He is such a unique concept. Punching out a perfect chunk of a person? Cool! Concerns about the price of M.U.S.C.L.E. toys are only a small part of his concern about the M.U.S.C.L.E. community. Hawkeye believes the M.U.S.C.L.E. 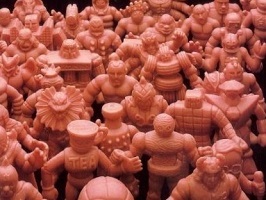 community may have a slightly unhealthy obsession with M.U.S.C.L.E. 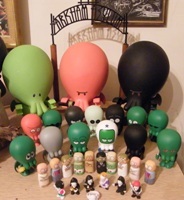 figures and toys in general, but ultimately it is a group of friends with a common interest. 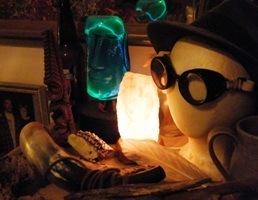 He is proud of the way people look out for each other and try to help each other with their collections. Hawkeye loves learning about M.U.S.C.L.E. 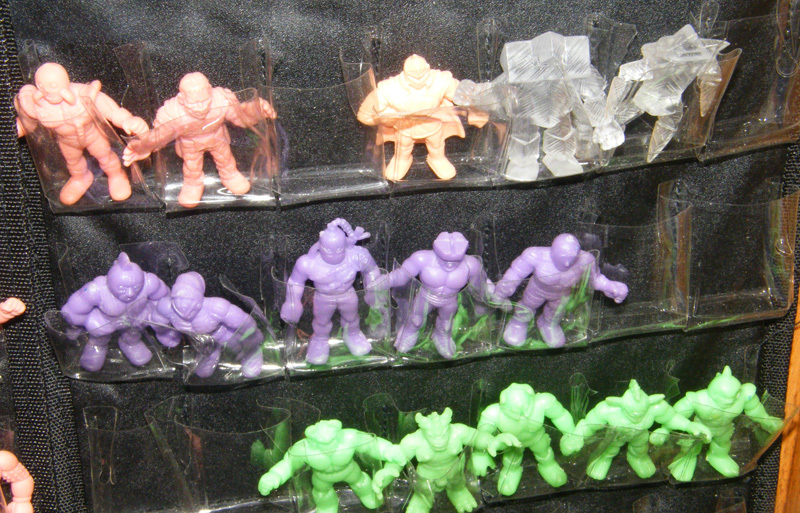 figures through the University of M.U.S.C.L.E. and the LRG forums, but he actually hopes to take a more active role in the future. He enjoys taking interesting M.U.S.C.L.E. pictures and might translate that into a web comic. He also enjoys jamesullivan’s M.U.S.C.L.E. videos and would also like to create a series of videos using M.U.S.C.L.E. figures. 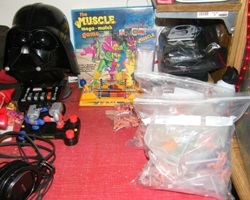 He would also like to see more creative ways for collectors to trade and exchange M.U.S.C.L.E. figures. 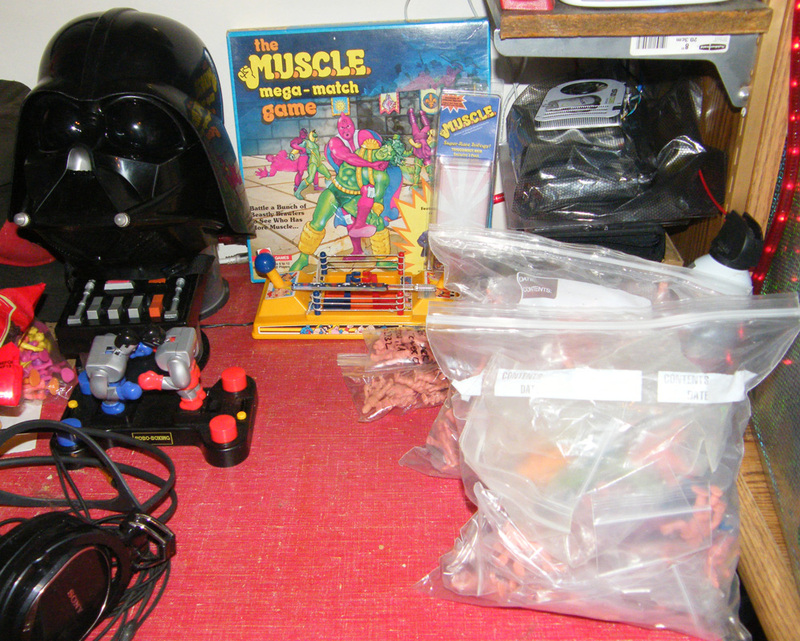 His passion for collecting M.U.S.C.L.E. 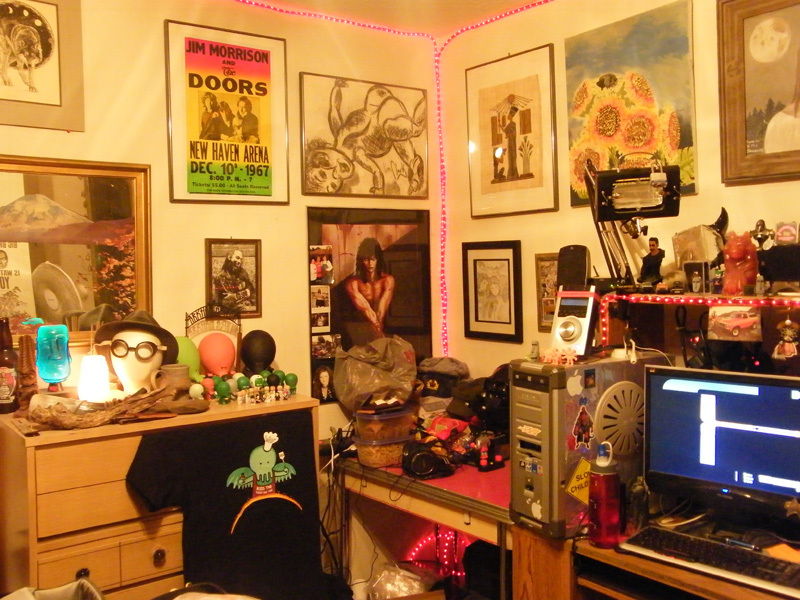 figures and being a positive part of the M.U.S.C.L.E. only continues to grow. Hawkeye believes the hobby will also continue to grow. In fact, he believes that the M.U.S.C.L.E. 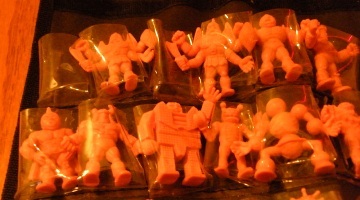 figures will be re-released as a complete set – similar to the Kinnikuman Kinkeshi re-release. Hawkeye’s passion for collecting is not limited to M.U.S.C.L.E. figures. 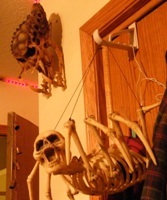 His four year old niece says that every day is Halloween in his room. She was afraid to go into the room for quite a long time. Be patient!!! Don’t go for the first thing you see. You will often get burned on price by not looking elsewhere for the same item first. Do NOT limit yourself to eBay. Find good forums with good people and trade as much as possible. 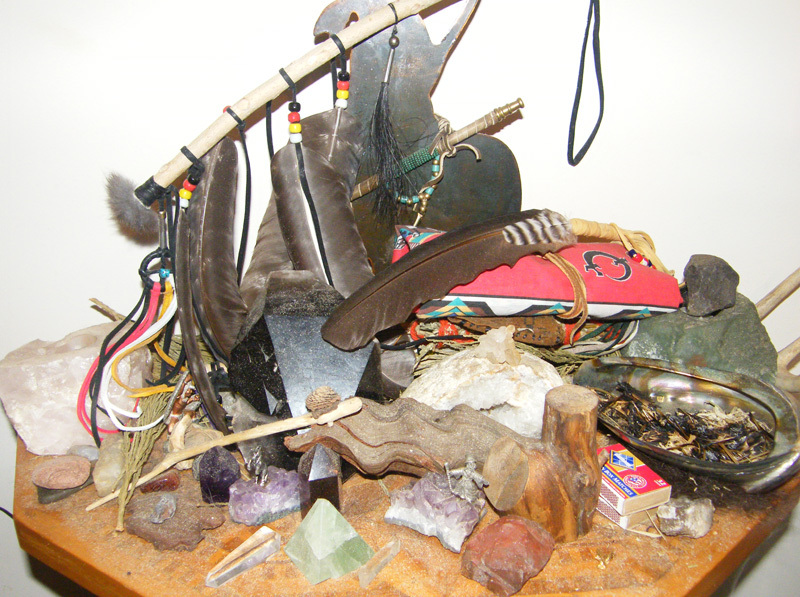 I would also advise learning as much as you can about the things you are collecting. This way, you won’t get burned by people who prey on newbies. To the community I would say avoid people who have been banned from tight knit communities. They are the bad eggs that give the whole community a bad name and they prey on members, not help them. All M.U.S.C.L.E. 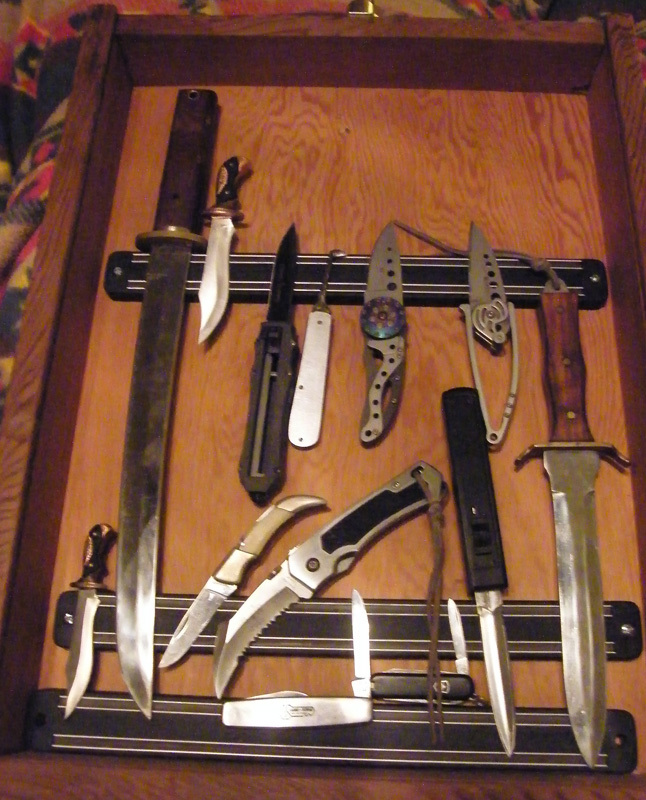 collectors offer a huge thank you to Hawkeye for sharing his collection and his personal story. 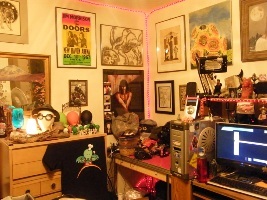 If you would like to be a featured collector, please complete a questionnaire and provide photojournalistic pictures of your collection. 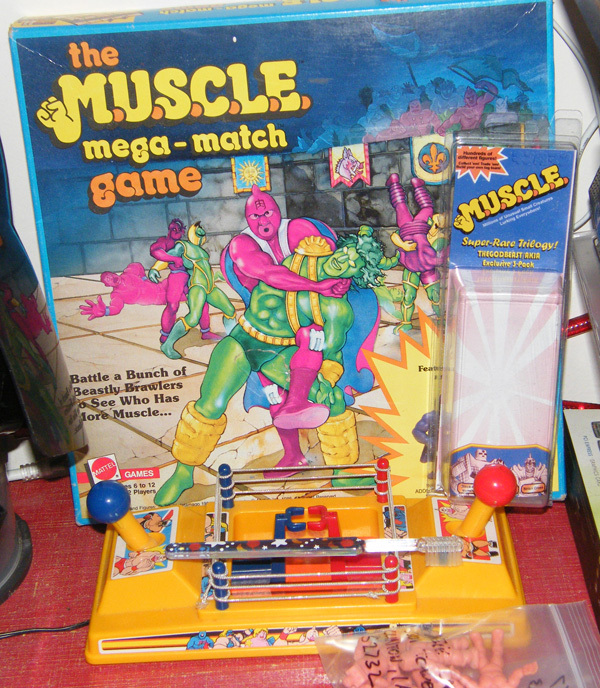 Again, the focus of the pictures are not to solely highlight M.U.S.C.L.E. 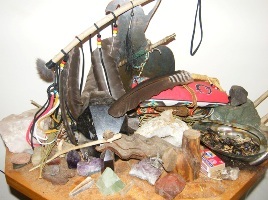 pieces, but rather how those pieces actually exist within the collector’s life. If you: (1) have any questions about the questionnaire or pictures; or (2) would like to submit your questionnaire and pictures, please email the University of M.U.S.C.L.E.. This entry was posted on Tuesday, January 19th, 2010 and is filed under Sociology, UofM News. You can follow any responses to this entry through RSS 2.0. You can skip to the end and leave a response. Pinging is currently not allowed. I love looking at pictures of people’s collections. It’s so cool to me, especially the part where you get to see how others display their muscles. 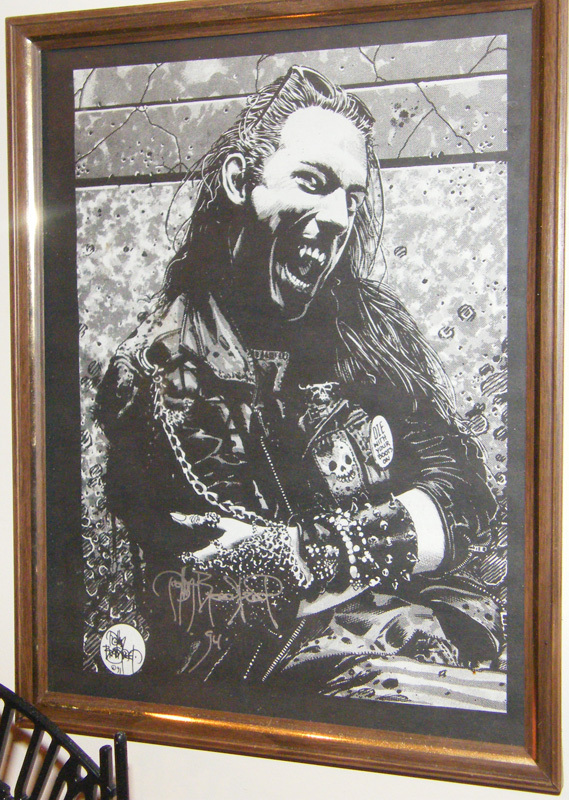 Very cool Stoney, thanks for sharing! I must say I was quite caught up reading your story Stony. Your experiences and how you feel about them really came through for me, well done with the writing Veers. The pictures are great, the wonderful variety bespeaks an interesting person indeed! M.U.S.C.L.E. Poster Tubes « University of M.U.S.C.L.E. 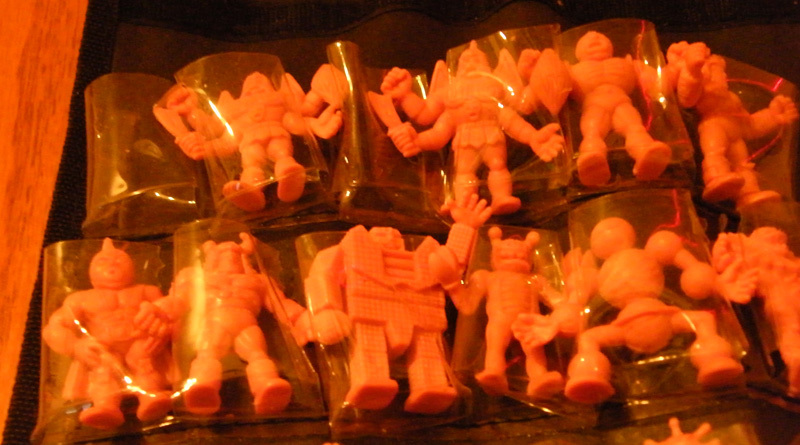 Manufacturing Error & Warped M.U.S.C.L.E. Figure Updates | University of M.U.S.C.L.E.